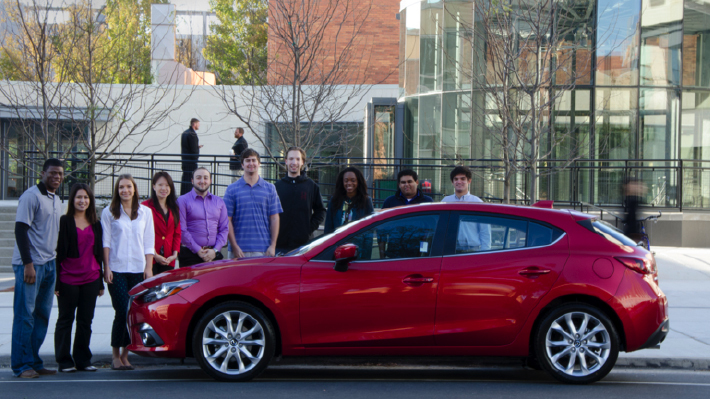 A class of Drexel LeBow undergraduates is one of seven schools in the country participating in the 2014 Mazda3 College Championship. In this class, taught by Dana D’Angelo, Mazda gave the students a budget and charged them with the tasks of researching, strategizing, implementing and evaluating an integrated marketing campaign. The students’ campaign culminated with a final event, The IgniteU Movement, held Nov. 20 on campus.